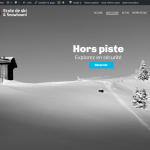 Accueil » Grand Massif lift passes have changed ! 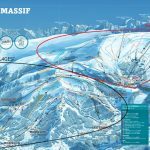 Due to important work that’s been going on since 2016 ( Combe de Coulouvrier, Saix Express chairlift, snowmaking over the Doina and Grand Cret..etc) The Grand Massif Ski area will be selling new lift passes for the massif and Grand Massif ski areas. The pass “FLAINE / GRAND MASSIF” will stop at where the Corbalache chairlift begins. 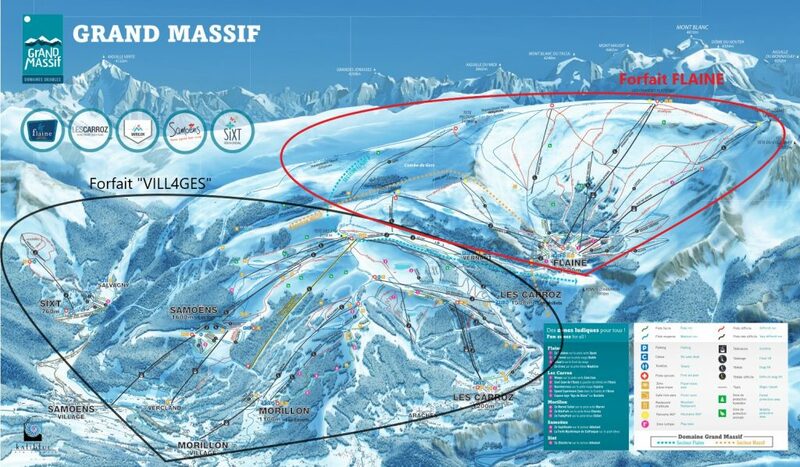 So it’s impossible to take this lift with the “FLAINE / GRAND MASSIF” lift pass. These latest changes come after 5.5km of new slopes being created that are included in the new “VILLAGES” lift pass. Additionally it will enable better gestion of the flow of skiers at busy times on certain lifts. So to conclude the Flaine ski area will now only be accessible for skiers who possess the GRAND MASSIF lift pass. The Cascades slope will still be included with this pass. 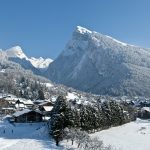 So for this Winter it’s important to make sure that you are well organised with which lift passes you intend to get for your skiing here in the Grand Massif.